The Samsung Galaxy Note 4 has topped the charts in customer satisfaction, leaving behind the Apple iPhone 6 and iPhone 6 Plus, according to a latest survey conducted by the American Customer Satisfaction Index (ACSI). The Note 4 - which was released back in October last year - scored a total of 86 points out of 100, while Apple's latest flagships came in at number two with 82 points each. The Galaxy Note 3 and the Galaxy S5 also tied for the second spot. It's worth mentioning that the Samsung's latest flagship, the Galaxy S6, wasn't commercially available at the time of the survey, so it wasn't included. 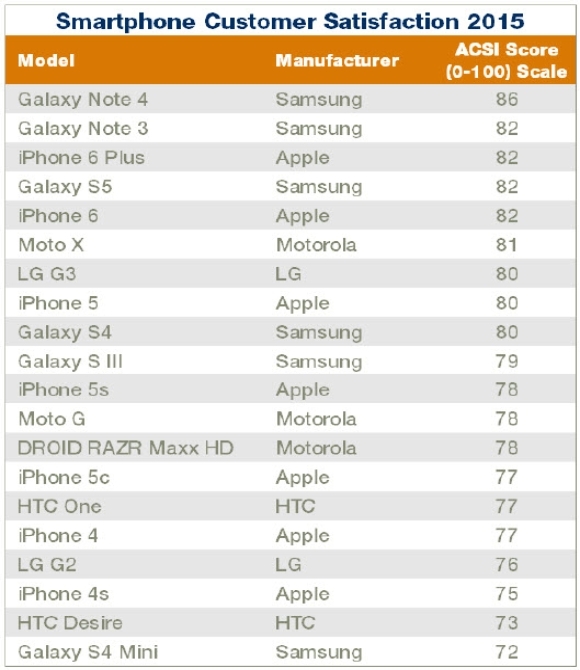 As for smartphone manufacturers, both Apple and Samsung tied for the first spot with 80 points each. 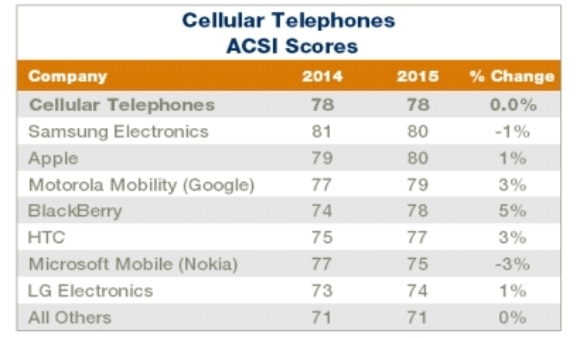 Motorola, BlackBerry, and HTC rounded up the top five with 79, 78, and 77 points, respectively. Listen to yourself, you don't even know why you bought a droid in the first place. iFans make me sick.